Note: Pics of rifle provided courtesy of Milsurps.com moderator Claven2. 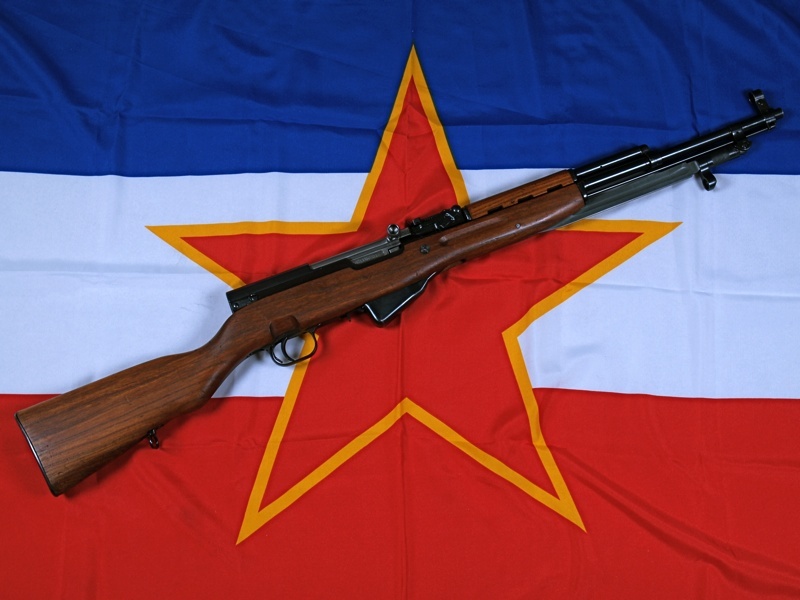 Although the first Yugoslavian-made SKS was produced in 1961, full production only began in 1964 at the Preduzece 44 plant, also known as the Zavod Crevena Zastava or Red Banner Works. 1961 saw the production of only 100 M59's and in 1962 and 1963 there was no production. Between 1964 and 1967 when production switched to the M59/66 SKS, an additional 52,069 rifles had been produced for a total of 52,169. 1. The pictured rifle was imported to Canada by Marstar in either the late 1990's or early 2000's. Marstar was one of the first arms concerns to export large quantities of Yugoslav military surplus arms after the civil wars in that region. Most of Marstar's exports from Yugoslavia went to the United States, though a quantity comparable to market size was also delivered to Canada. Most of the M59's in presentable condition were part of the Marstar import activity, as well as a fair number of the M59/66 imports. Other companies did import M59's to the US market, but they were often worn issued examples, while the Marstar guns were usually new or refurbed with comparably less wear. Canadian law, unfortunately, requires SKS magazines be limited to 5 rounds. 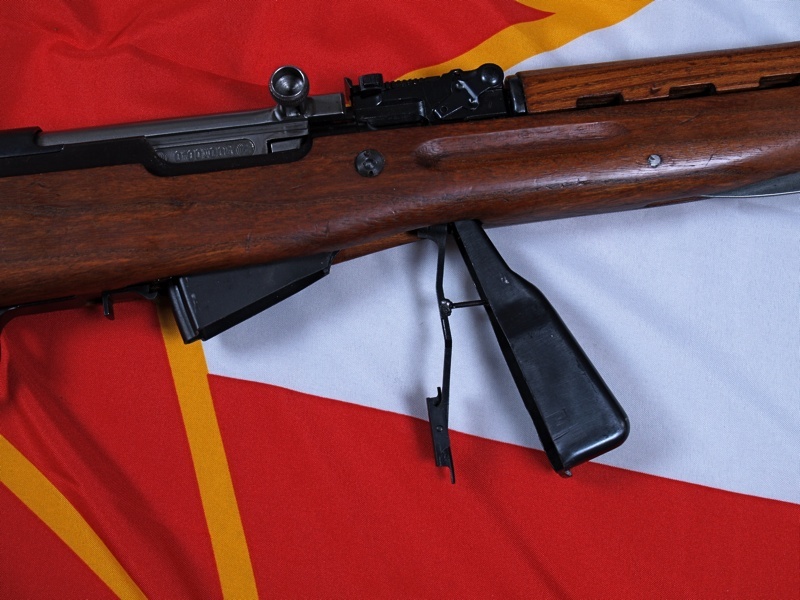 Yugo SKS's will typically be encountered in Canada with the magazines limited one of two ways. Most had a piece of sheet metal epoxied into the dust cover, but near the end of sales the government determined this was not permanent enough and some were limited by the welding of a small rod to the follower arm. Both methods are typically well done and not observable when the rifle is disassembled. 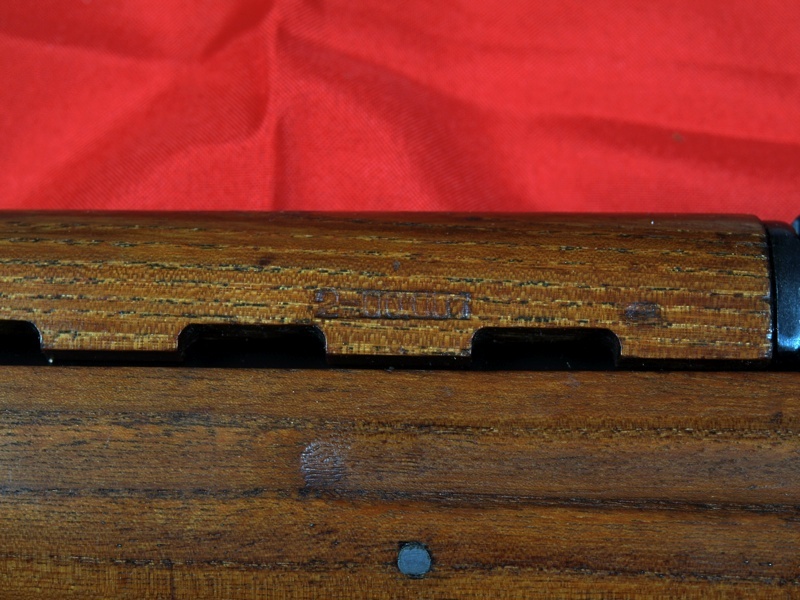 Later imports to Canada of Russian and Chinese SKS carbines had unsightly rivet-work or welding visible on the magazine cover itself and are arguably less desirable examples of the SKS as a result. Date of manufacture of an M59 will typically be 1964, 1965, 1966 or 1967. Only 100 carbines were made in 1961 and collectors are unlikely to ever encounter one. These first 100 were serialized 1 through 100, but when production resumed in 1964 serial numbers re-started at 1, so it might not be possible to even identify a 1961-made carbine. Additionally, only 44 M59's were assembled in 1967, so this year is also difficult to locate. Look for a serial number between C-52035 and C-52079. All A and B serial prefix guns are from 1964 and C-prefix up to 34300 are 1964 as well. 1965 ended at C-41000 and 1966 ended at C-52025.